New York, February 1, 2016–Hughes Hubbard & Reed LLP announced today that Professor Thomas H. Lee has joined the firm’s Litigation practice as of counsel in the New York office. In addition to his practice at Hughes Hubbard, Lee is concurrently the Leitner Family Professor of International Law at Fordham Law School in New York. Lee is a leading academic in the field of international law with a particular focus on international commercial and investment arbitration, U.S. constitutional law, and U.S. federal civil procedure and jurisdiction. 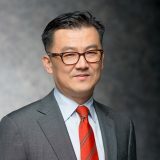 From 2006 to 2012, Lee was U.S. Law Adviser to the Constitutional Court of the Republic of Korea, and he has significant experience with litigation in U.S. courts involving foreign parties. “Tom is a distinguished professor and a leading jurist on cutting edge issues of public and private international law as well as U.S. law. Our clients, particularly in South Korea and other international jurisdictions, will benefit tremendously from his experience and insight,” said Ted Mayer, Managing Partner of Hughes Hubbard. Lee previously taught international law and U.S. litigation courses as a Visiting Professor at Harvard Law School (2012-13), the University of Virginia School of Law (2007), and Columbia Law School (2005-06). Professor Lee was a clerk for Justice David Souter of the U.S. Supreme Court, and worked in private practice before joining the Fordham law faculty. From 1991 to 1995, he served as a U.S. naval cryptology officer with four submarine deployments, multiple surface combatant deployments, and shore duty in Korea and Japan. “Hughes Hubbard’s litigation practice is highly respected, and the firm has a long legacy of esteemed scholar-practitioners with international and U.S. legal prowess going back to Chief Justice Charles Evans Hughes. I know it’s the right place to grow my legal practice, and I’m excited to join the firm,” said Lee. Lee earned his J.D. from Harvard Law School, where he was Articles Chair of the Law Review and received the Laylin Prize in International Law. He also has an A.M. and A.B. from Harvard University. Lee is fluent in Korean and has reading proficiency in French and Japanese.